The JCA offers an environment of warmth, joy, compassion and belonging, in our daily lives and in times of celebration and crisis. 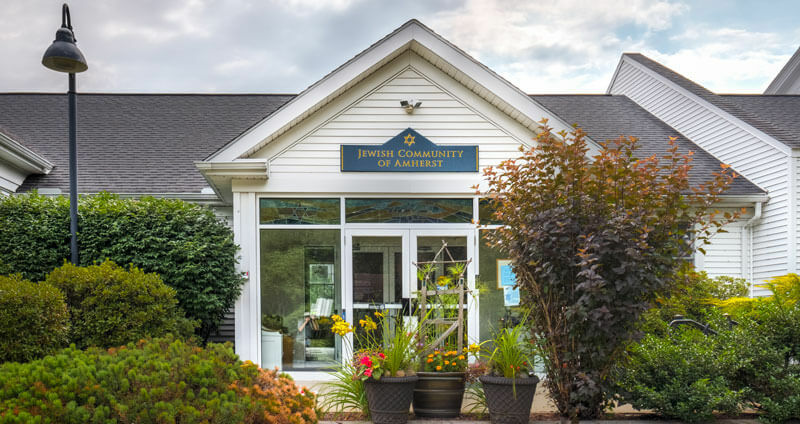 Founded in 1969 to foster a “spirit of Jewish community” in Amherst, today we have a diverse membership of more than 300 households with families, couples and individuals from towns throughout Western Massachusetts and beyond. We value openness and welcome all to our community, including all sexual orientations, people of color, interfaith couples and their children, people with disabilities and those of limited economic means. Embracing the values of our heritage, we honor the assertion in Pirkei Avot (Teaching of the Sages) that the world stands on Torah (study and mizvot), Avodah (worship), and Gemilut Hasadim (acts of loving kindness). We share and enhance our understanding and practice of Jewish ritual and tradition through prayer services, cultural experiences and lifelong educational programs. We provide many opportunities for participation and volunteer engagement within the JCA and in the wider world. As our community struggles with issues of oppression, social justice, peace, a clean and safe environment, and true equality, we strive to place our actions in a context of chesed and tikkun olam.